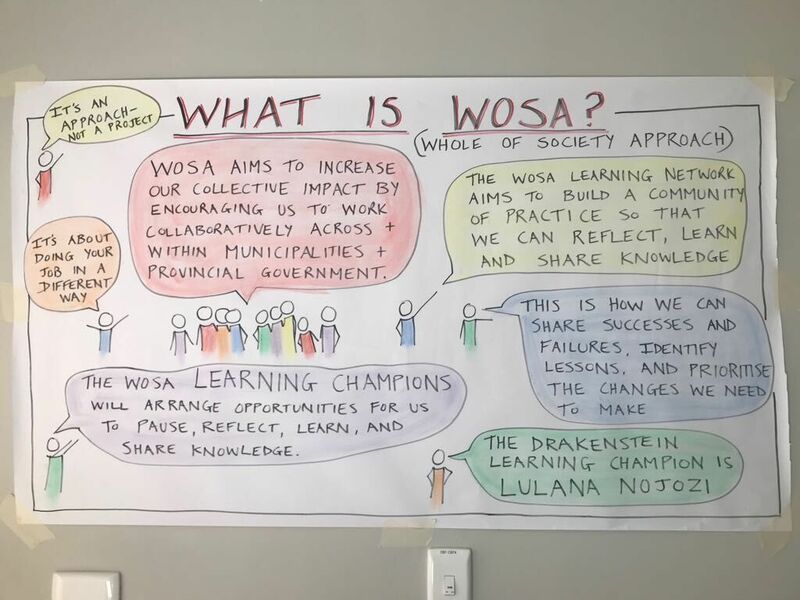 The WOSA network aims to create a community of practice to enable reflection, learning and sharing of knowledge across the spheres and sectors of government. It focuses on selected area-based interventions within municipalities (e.g. Saldanha Bay, Drakenstein and Cape Town). At each site the relevant role-players are drawn together to combine their actions and activities for improved impact. The learning network aims to both share learnings from this process of improving service delivery, as well as consider how to improve impact on-the-ground. MCA provides technical assistance in the form of supporting the coordination and convening of the learning network, facilitation, knowledge capture and sharing.